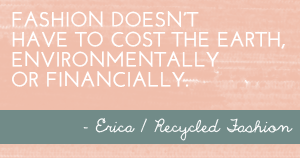 If you're a thrifty shopper, chances are you own a collection of scarves picked up for just a few dollars in second hand stores or markets. Scarves are such an easy way to spice up an old outfit, without spending a lot of money. By adding a splash of colour around your neck, across your shoulders, around your waist, or tied to a bag, an otherwise dull outfit becomes more appealing. When you start to own more than a handful of vintage or second hand scarves, storage becomes a little bit of an issue. 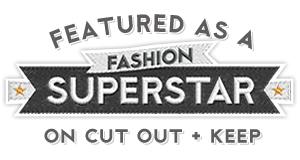 Where can you display your scarves to quickly find the appropriate one for your daily outfit? Is there an easy solution for storing scarves in a way you can find them in your wardrobe? 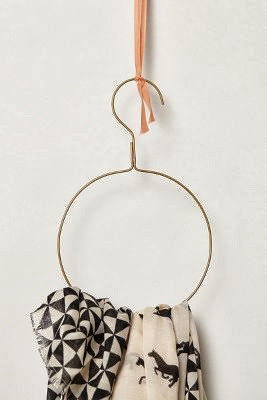 Other storage solutions for thrifted scarves include shower rings on clothes hangers, multi-use hanger by Ikea, or over the door coat hooks. Although my favourite storage solution has to be the use of an old wooden ladder to display scarves on a bedroom wall. 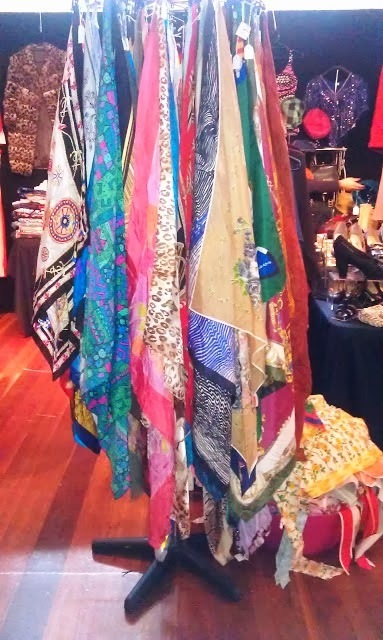 Do you have a tendency to pick up a vintage scarf or two ten from your local thrift store? If so, how do you store and display your collection? *puts hand up* yep I have a few.....ok a lot. I have them in all shapes and sizes. My collection is currently stored in the top drawer of our 100+ year old silky oak chest of drawers. The top drawer is sectioned into three and me and my scarves, jewellery and small accessories take up two thirds. Similar to the ladder idea, I use an old fashioned wooden clothes horse which opens out to three sections. Also makes a great room divider. Nice to know I'm not the only one addicted to scarves! I'd love to have the space to hang mine on a clothes horse or other hangers, but there is simply far too many, so I've got them all in a plastic 'bin' at the top of our walk in wardrobe. I used to roll them, but it got messy very quickly, so now I fold them into small squares and try to organise them into colour groups. Although that also gets messy if I'm looking for one to co-ordinate with what I'm wearing, and I'm in a hurry!